Friends from the Church of Scotland’s Assembly office told me a story over breakfast recently. It seems that some junior staffer from the City of Edinburgh Council phoned the Assembly office to find out who is the head of the Church of Scotland. The person who took the call didn’t know and asked if anyone else did. The Principal Clerk happened to be walking past and offhandedly put in, “That would be the Second Person of the Trinity”. A few days later a gilded invitation to a civic reception arrived from the City of Edinburgh Council addressed to “The Second Person of the Trinity, Church of Scotland, 121 George Street, Edinburgh”.It’s a nice illustration of an important aspect of the Uniting Church’s polity that we share with churches like the Church of Scotland. In our polity, the head of the church is Jesus Christ, the Second Person of the Trinity. I’ve been surprised at how many people seem to think that the President of the Assembly is the head of the Uniting Church. I’m not. Christ is the head of the church. The Assembly that met last July and its Standing Committee that meets regularly during the three years until the next Assembly meeting has the responsibility of discerning what Christ would have us see and do in relation to the national life of the UCA. The President leads and facilitates that discernment process – and not by him/herself either. 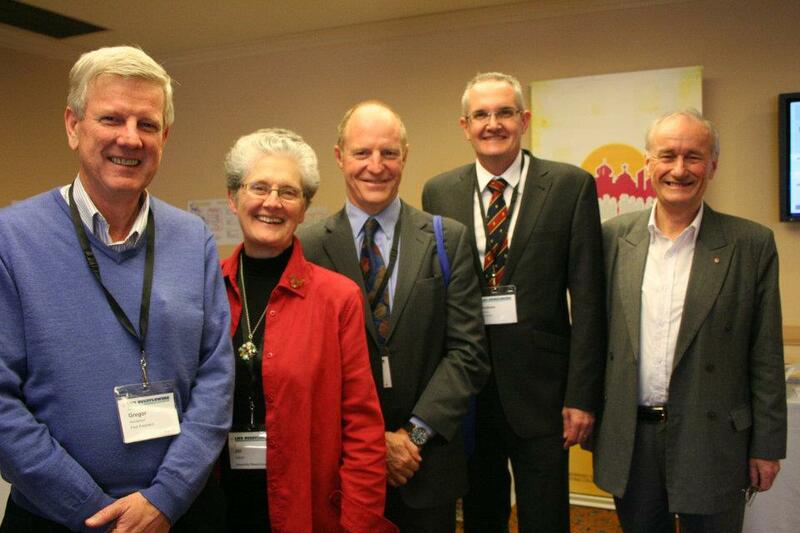 The same is true in all our councils – Synods, Presbyteries and Congregations. The Moderator or Chairperson of the particular council is not its “head”. Christ is. And we risk real disruption to the life of the UCA if we ever forget that. Because Christ is the head of the church we make decisions in councils. There’s nothing more important to the health of the church than the quality of the discernment processes we adopt – being together in council to prayerfully seek the will of Christ in whatever issues are before us. I think it’s important that we be who we are with confidence. We do ourselves no favours if we pretend to be like other churches or institutions which entrust significant executive authority to individuals or very small groups with little change over time – even though that would make life easier for journalists, politicians, bureaucracies, and some of the other churches we have relationships with. Christ is our head and we make our decisions in councils. We need to be consistent about that. Next Is church union relevant any more? Thanks for your reflections President, a timely reminder of the significant responsibility we accept in attending a Synod. At that time We are the decision makers on behalf of the church and should not abdicate or surrender this responsibility- but embrace it and be compassionate, wise and courageous in this role. We as a church are the system of accountability – the only one. This is well compiled and helpful. With a great opening story. After reading it, I do want to say that other denominations, who use other polity to reach discernment eg through a person, or a small group, would also affirm that Christ is the head of the church.